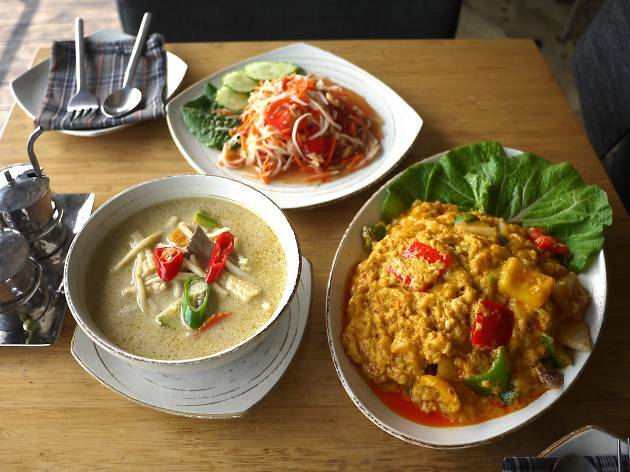 As far as foreign food in Korea goes, Thai food has become as mainstream as Italian. However, some of us will remember a time when it was nearly impossible to find decent pad thai here. Back in 2005, there were a few eateries but they barely managed to encapsulate Bangkok’s street foods with authenticity. Even Seoul’s foreign food representative, Gyeongridan, had little to offer with Buddha’s Belly being the rare exception to the rule. Although the Thai food market has grown more competitive now, we do have to credit Buddha’s Belly for being the first to offer a delicious take on the cuisine for reasonable prices. The Buddha's Belly at the foot of Gyeongridan is the original, while the second chain rests at the bottom of the hill of Itaewon main street. The more recent Buddha's Belly is well decorated and has a panoramic entire view of the Noksapyeong subway station crossroad. 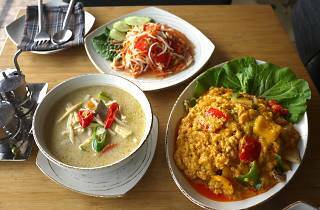 At the Noksapyeong branch, the Thai chef has earned his dues for over a decade, and his food consistently ranks above the standard. During lunchtime, you can get a plate of fried rice and Tom Yum Goong as part of their lunch menu for the budget price of 8,800won. With the recent opening of the third branch inside of Banpo’s Famille Station, Buddha's Belly shows it’s still at its prime.